Telegraph station at New Milford, 13 miles. May 4th Whit Tuesday, July 4th, Oct. 2nd, and Dec. 4th. 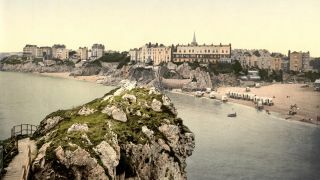 Tenby, on the coast of Pembrokeshire, was at a very remote period occupied by the ancient Britons as a fishing town, and is most romantically situated on the eastern and southern sides of a rocky peninsula, stretching out into the Bristol Channel and rising to the elevation of 100 feet above the level of high water. The houses are well built, and command fine views of the sea; and the beautiful situation of the town, the fine beach, and firm and smooth sands, the transparency of the sea water, and the pleasant walks and extensive drives in the vicinity, have raised it from the decline into which it had for many years previously fallen to a high rank among the most favourite watering-places on the coast. Under the Castle-hill baths, provided with every convenience, are supplied by a capacious reservoir, filled from the sea at every tide. This establishment comprises two spacious pleasure-baths, one for ladies and one for gentlemen, four smaller coldbaths, and also a range of warm sea-water and vapour-baths, with apparatus for heating them to any degree of temperature required. The surrounding scenery is extremely beautiful and picturesque. 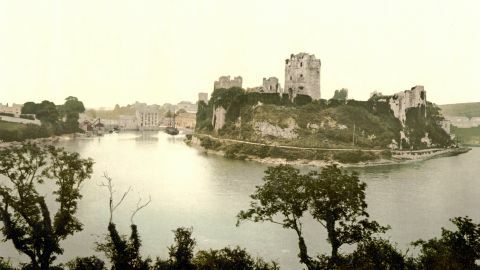 The majestic masses of rock, of various forms and hues, which line the coast; the numerous bays and distant promontories that stretch out into the sea; the receding coast of Carmarthenshire, with the projecting headland of Gower enclosing the great bay of Carmarthen, on the western boundary of which the town is situated; the small islands of Caldey and Lundy, with the distant shores of Somersetshire and Devonshire, combine to impart a high degree of interest and variety to one of the finest marine expanses in the kingdom. 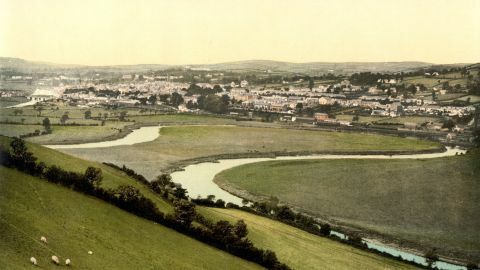 On one side of the town there is a drive of eleven miles to the ancient town of Pembroke, through a fine campaign country, studded with churches villages, and gentlemen’s seats, surrounded with plantations and pleasure-grounds, and on the other the country is agreeably diversified with swelling eminences, clothed with verdure, and small valleys richly wooded. 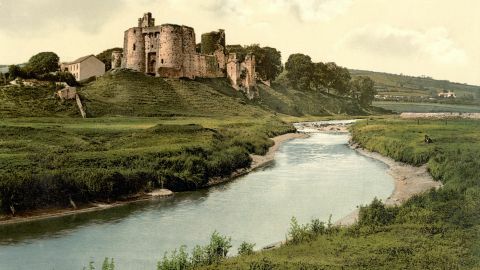 The remains of the ancient castle are considerable, though in a very dilapidated condition. A portion of the keep still remains, and the principal gateway, with a square tower and a bastion, are also in a tolerable state of preservation. The ancient walls, which surrounded the town, are still in many places entire. The sands afford delightful promenades, and abound also with shells of varied descriptions, not less than one-half of the British collection of 600 varieties having been found on this coast, among which have been several of value commonly esteemed foreign. The church is a venerable and spacious structure, dating as far back as the year 1250. There is constant steam communication with Bristol.